For three decades the devastating pollution costs associated with burning coal for energy has prevented the construction of new coal power plants. American innovation has helped clean the air while meeting US energy demands with clean energy choices such as energy efficiency, wind, solar and clean-burning natural gas. All that progress is now at risk. With a sympathetic White House, relaxed environmental protections, and large state and federal subsidies, dirty coal is staging its most serious resurgence in thirty years. 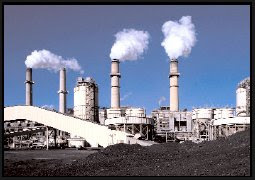 114 new coal-burning power plants are in various stages of planning and permitting in the US today. Most of the plants are proposing outdated coal combustion technology which would create the largest new source of global warming pollution in the US. Almost one half of the new coal plants are proposed in the Upper Midwest – with a record 12 plants in Illinois! These new coal plants, some of which are already being permitted and funded with taxpayer subsidies, will not replace the old existing coal plants but instead will compound our existing pollution woes. These “new” coal plants emit essentially as much carbon dioxide – the principal cause of global warming -- as a 1950s-era coal plant. Our Health: Coal-burning power plants are the single largest source of mercury, a potent neurotoxin contaminating our nation’s waterways. The Illinois Department of Health has issued a fish consumption advisory due to dangerous levels of mercury in every waterway in the state. US EPA estimates that one in six women in America has levels of mercury in their bodies that presents a risk of permanent brain damage to her child in utero. Coal-burning power plants also cause the fine soot pollution that blankets our cities. This fine soot bypasses the lung’s natural defenses and becomes lodged deep in the lungs where it causes asthma attacks, lung cancer, heart attacks, and even premature death. The Midwest already has its share of air quality alert days – more coal plants will only mean more dirty air days. Our Economy: Investing in dirty old coal technology closes the market to expanding clean energy opportunities in the Midwest. Modern clean energy technologies, such as energy efficiency and wind power, are viable solutions to meet future energy needs in the US. The Midwest has an exciting opportunity, with its abundant wind and biomass resources, to become a leader in the 21st century energy market. Midwest wind energy alone could meet 25% of America’s electricity needs and create thousands of additional jobs in manufacturing, installation and maintenance of clean energy systems. Our Future: Leading experts agree that the single largest threat facing our planet and our children’s future is global warming. A 2004 Pentagon-commissioned report states that “ because of potentially devastating consequences, the risk of abrupt climate change … should be elevated beyond a scientific debate to a U.S. national security concern.” The proposed Midwest coal plants would add billions of tons of new carbon dioxide to the air, making them the #1 US threat to global warming, at a time other states and 140 nations are taking action to reduce their global warming pollution. To learn more about the fight against coal's resurgence, go to the Energy Justice Network. Among other things, they have an interesting map of the nation's coal supply regions. I begin to understand why the Southeast has a hefty proportion of the nation's existing coal-fired power plants. To register your objection to Duke Energy's proposed new Cliffside coal plants in North Carolina, e-mail the NC Utilities Commission with a brief statement at vance@ncuc.net (Subject heading: Cliffside or Docket E-7, Sub 790). Ask the Utilities Commission to reject Duke's construction request, and include any negative comment about coal. Send it by Weds February 28 if you can, although that decision date may wind up being postponed (at the request of several concerned legislators). You don't have to be a resident of NC to object. We'll all pay the price for the 11 million tons of carbon dioxide that these new NC plants will generate every year. Thanks for any e-mails. For more about the struggle in NC against the mighty Duke Energy, which has its tendrils deep into local government and local corporations, see previous posts on this blog. More will be forthcoming. I try to shop for second-hand and recycled goods when possible, whether it's clothes, furniture, books, cars, whatever. I make the effort partly to save money, but also for environmental reasons. Let's face it, Americans are huge consumers. We use 25% of the world's resources and energy, yet we have only 5% of the world's population. It's not sustainable. In this vein, big and elaborate weddings have always been a puzzlement to me. They seem to me the ultimate in extravagance and waste. All that money spent in one day - when instead the couple could put the money toward a lengthy vacation, or a house down-payment. The average wedding costs $25,000 to $30,000! I could travel for a year on that. Ken and I got married in my parents' living room. I wore a dress that my brother made for the occasion; Ken wore a borrowed jacket. Our two dogs were our attendants. They sat very quietly and attentively while the remarks were made. The whole thing probably cost $200, or less. Even that, to me, seemed extravagant at the time. So I was pleased when I saw the other day in the NY Times two articles about "green weddings." What a great idea! A Feb 11 article by Mireya Navarro, "How Green Was My Wedding", gives lots of ideas about how to have a greener wedding. One couple in the article plan a "zero waste" wedding for 250 guests. It will include compostable plates and utensils, organic and fair-trade certified food, locally brewed beer and organic wine and wedding rings that are "100% reclaimed recycled ecologically responsible gold." In lieu of gifts, the couple are asking guests to sign up for conservation projects, or to donate to environmental groups. The second NY Times article, by Matthew L. Wald ("Making High-flying Guests Fuel Efficient") describes how to purchase carbon credits to offset the environmental impact of flying. A $9.95 pass for a 1000 mile trip goes toward developing green sources of energy, such as wind power. This is useful information for green-wedding planners, since travel is the biggest-impact component of a wedding. It's also useful for vacation travelers such as myself. The passes are available from TerraPass, directly or through Expedia, the travel website. The "How Green Was My Wedding" article refers to several wedding professionals and companies who are offering eco-friendly wedding options, such as OrganicBouquet.com which offers organic flowers, and Portovert.com, a magazine devoted to eco-friendly weddings. The editor of Brides magazine says the interest in green weddings has blossomed to include vegan menus, halls that recycle, caterers who use locally grown ingredients, and decorating with potted plants that can be transplanted. The Feb-March issue features a planning guide for a green wedding. It sounds good! These weddings will still probably cost plenty. But the significance of these trends is that people are trying. Awareness is increasing. The established authorities on the subject are recognizing changing consumer values. That's exciting! After all, the power rests with consumers ultimately. Markets will provide what we demand. A green wedding can be a gateway to an eco-friendly lifestyle and environmentally-conscious parenting. One step at a time...toward a sustainable future. I'm writing regarding Duke Energy's proposed Cliffside plants. You as utility commissioners have so much power. You have the power to leave our fields and forests viable and productive, for the thousands of generations of humans who will follow us on this planet. If we ruin our atmosphere and continue to change the world's climate, the rest of humanity from here until the end of our species will have their survival choices limited by what we did and didn't do. Already, in sub-Saharan Africa, the rainy season has changed substantially due to global warming. Their rainy season is too short. When the rain finally comes, it falls in torrents, eroding fields. Lakes are shrinking, mountain snowcaps are receding. Their crops are failing, and soon, agriculture around the world will be similarly impacted. What will people eat in the year 2100 and 2200 and 2300, when the human population surpasses 10 billion? How will they produce enough food, with fields degraded by climate change? They won't have the choices we have today in 2007. When their choices for survival are limited, it will be because some of us in 2007 could not see beyond the political expediency of the moment, could not waver from the shortest route to shareholder profits. But it is your duty to see beyond the convenience of the moment and business-as-usual. When you take on a job as a public servant, your duty is to the humans of 2200 as well. They depend on your clarity of vision and your integrity even more than we do. Please do the right thing. Please don't let Duke Energy build the new Cliffside coal plants. Force them to turn to energy-efficiency and green sources of power, to invest in maximizing the potential for these options. Force them to offer real efficiency incentives and education to ratepayers. 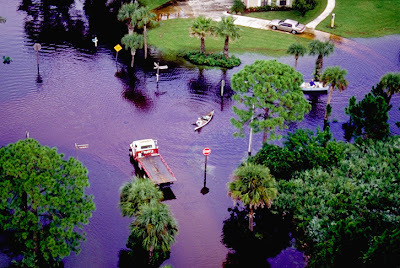 Coastal cities will be increasingly flooded in coming years as sea levels rise, and as the intensity and frequency of tropical storms increase. Across the country, activists are pleading with the NC Utilities Commission to block construction of Duke Energy's two massive proposed coal-fired power plants. We have just a few more days to get our consumer message to the Utilities Commission before they reach a decision. The commission was created to represent the interests of the public. It's our responsibility to let them know what we want. Duke Energy is huge. Their profits are huge, their legal staff is huge, and their environmental impact is national and global. Please email the NC Utilities Commission at the address in the box below and tell them to support energy efficiency and green power, not more climate-changing coal plants. You don't have to be from this area to write the Utilities Commission. The 11 million tons of carbon dioxide per year from the two proposed coal plants will affect everyone's climate. Just a simple statement to register your disapproval of the coal plants is worthwhile. It doesn't have to include facts. Sentiment is valuable too. Although if you wish to include some of the facts below, have at it. The summary below of some of the salient facts was composed by environmental activist Beth Henry, a human dynamo and one of my heroes. She has been fighting 18 hours a day, for months, to educate consumers and influential people about the dangers of more and more CO2. The recent IPCC report said global warming is already having and will have more destructive and earlier impacts than previously thought – stronger hurricanes, longer droughts, and more. We must act urgently to reduce emissions. Cliffside would be a global-warming machine, emitting over 11 million tons of CO2 every year—the equivalent of adding about 1,730,000 cars to our roads (according to EPA formulas). Duke hopes to have Cliffside exempted from looming federal carbon regulation, but that is a risky strategy for both our climate and our pocketbooks. If not exempted, Cliffside would add huge CO2 emissions costs to our electric bills. Studies have shown that energy efficiency programs could substantially reduce the need for more power plants and that North Carolina could get much of its electricity at less cost, with thousands more jobs, from local, renewable sources like wind and animal waste. Even after Cliffside’s price tag jumped to almost $4 billion, Duke did not consider efficiency programs or clean energy as less expensive, less polluting options. Numerous studies, including the Stern Review, have shown that curbing emissions now would cost much less than it will cost to repair the devastation that will be wreaked by accelerating global warming. Cliffside is one of over 150 US coal plants being fast-tracked by utilities rushing to get plants built or at least approved before carbon regulation kicks in. Coal plants already emit about one third of US CO2 emissions. If Cliffside and other anticipated coal plants get built, the US Dept. of Energy predicts that CO2 emissions from US coal plants will increase 50% by 2030. Such a huge increase in coal emissions would threaten the health and security of us all and place the burden of reducing emissions heavily on other industries and individuals. Denying Cliffside would not cause brownouts. Duke has not demonstrated a need for such a huge plant; in fact, Duke hopes to sell half of the project to a secret partner. Duke should turn first to efficiency, the cheapest, quickest fuel. Then, if plants are needed, Duke should build cheaper and cleaner gas-fired plants. Duke’s own models picked a gas and nuclear portfolio -- not coal -- as the “least-cost” option. Duke’s publicity about retiring old coal plants is misleading. Duke has agreed to retire less than 200 mw of very old “peaking” plants that run about 30% of the time, but it would add 1600 mw of “baseload” plants. For 70 years, laws have protected the North Atlantic right whale from whaling ships, but the population is not increasing. Their numbers are so low that just a few deaths of mature females could trigger the collapse of the entire group. The species is the most critically endangered in the Atlantic with only about 300 in existence. U.S. lobster and fisheries fleets are currently a major threat to the right whales' survival. North Atlantic right whales are coastal animals that tend to hang out in waters with coastal fisheries, heavy ship traffic, and pollution. Deaths today are caused largely by fishery rigging and lobstering gear that entangles them, and by ships that run into the whales. But scientists say that a few simple changes by the lobster industry could greatly increase the North Atlantic right whales' chances of survival and recovery. The recommended changes are fewer lobster traps and a shortened lobstering season. In the January 9 issue of Current Biology, biologists recommend a 6-month lobster season and a 90 percent reduction in the millions of traps that are currently allowed. Especially reducing the number of traps in the Gulf of Maine in fall and spring, when the whales migrate through the Gulf, would improve the whales' chances of survival. The thriving Canadian lobster fishery already limits its lobster season, while U.S. regulations permit lobstering year round. The U.S. lobster fleet also uses a lot more traps than they need to - 13 times more traps than Canadian fleets for an equivalent number of lobsters! With more efficient methods, U.S. workers could harvest the same number of lobsters with less danger to the whales, say the biologists, Drs. Ransom Myers and Boris Worm of Nova Scotia's Dalhousie University. The Maine Lobstermen's Association objects to these recommendations. They deny that changing the industry's methods could have any benefit to the whales. Not surprising - professional organizations seldom voluntarily impose limits on their own production or harvesting methods. So it will likely be up to the U.S. government to impose limitations on American lobster fisheries. If you would like to encourage federal limitations on the lobster season and number of traps, write to your representatives in Congress. And remember that your food selection is a powerful form of activism. When you choose fish and lobster, you're supporting the fleets that harvest these animals, with all of the unintended bycatch of other marine animals. Consider eating for environmental change. Consider choosing plant foods, or if you must eat animal products, choose products from pastured animals. If you must eat seafood, consult Oceans Alive's "Best Seafood Choices." 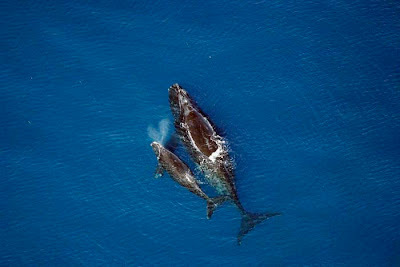 For more reading about the natural history and conservation of right whales, see the NOAA's right whale web page. Much of the information in this article came from "Saving Whales the Easy Way: Less lobstering could mean fewer deaths" by Susan Milius in the January 20, 2007 issue of Science News. Another source was an article by the National Oceanic & Atmospheric Administration about efforts to rescue an entangled North Atlantic right whale. Researchers have discovered varieties of barley with a surprisingly high level of genetic diversity in Eritrea, which could be useful for researchers trying to breed drought and disease resistant barley. But the scientists warn that the resource could be lost if seed conservation measures are not improved. The barley, found in farmer's fields surrounding the capital city Asmara in Eritrea, has the highest level of genetic diversity ever discovered. Lead researcher Ahmed Jahoor, of the University of Copenhagen, Denmark, says he observed that the barley grows under diverse levels of drought severity, which could be useful to plant breeders wishing to select the level of drought tolerance needed. He expects to find genetic variability for disease resistance as well. Jahoor says the seeds will be invaluable for improving barley "not only in Eritrea but elsewhere in tropical highland where barley is grown". They could be used as a new source of useful genes that have not previously been used in barley breeding programmes, and will be available for research purposes through common material transfer agreement procedures. However, Jahoor told SciDev.Net that the new gene pool is under threat due to poor seed conservation facilities in Eritrea. 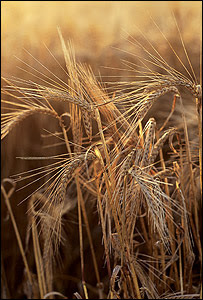 He urged the scientific community to establish a seed bank to conserve the genetic resource before it is lost forever. Jahoor says he has had difficulties obtaining funding for a seed bank because the Danish government has stopped supporting Eritrea for political reasons, and other funding agencies have not committed any funds. Mike Gale, emeritus research fellow at the UK-based John Innes Centre, says the levels of genetic diversity that the researchers found clearly demonstrates the value of international genebanks. The research was part of the Integrated Cereal Disease Management programme that aims to enhance research collaboration between Danish research institutes, National Agricultural Research Institutes in developing countries and centres of the Consultative Group on International Agricultural Research. It was published online in Theoretical & Applied Genetics last week (6 February). Caption: Baby leopard sharks are popular with aquarium hobbyists, but they can grow to a length of eight feet — far too big for most tanks. Morning Edition, February 13, 2007 · Federal officials have broken up a major wildlife smuggling ring led by a pastor at a San Francisco Bay area church. The smugglers pulled thousands of baby leopard sharks from the bay, then sold the live sharks to pet stores and private buyers around the world. Authorities say the operation began many years ago. About that time, the weekly sermon at the Ocean Church in San Leandro, Calif., was devoted to an unusual topic: pet sharks. "For the past 13 years, Ocean Church has had this little shark business," Pastor Kevin Thompson said. "We catch these baby sharks, this big. And we sell them to pet stores, live." 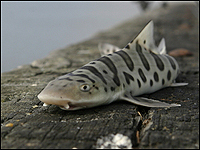 Thompson's products were baby leopard sharks fresh from the San Francisco Bay. Customers paid up to $40 for each of the one- to two-foot sharks. Fish collectors loved them for their big dark spots and the elegant way they glided through the water. But the business wasn't legal. Earlier this year, Thompson and five other men pleaded guilty to wildlife smuggling and Thompson was sentenced to a year in jail. Federal officials say Thompson ran a poaching gang that may have removed as many as 10,000 baby leopard sharks from San Francisco Bay. At a press conference at the Monterey Bay Aquarium Monday, Lisa Nichols of the U.S. Fish and Wildlife Service, said the poachers caught hundreds of sharks a day during the breeding season. "A majority of them would just fish, hook 'em, bring 'em in," Nichols said. "If you're out there in the dark and nobody checks you, you take it back to your truck and you're gone. If somebody shows up, they get dumped in the water and the evidence is gone." The ring began to fall apart in 2003, when a smuggling expert with the National Oceanic and Atmospheric Administration saw a baby leopard shark that was for sale on a Web site and started asking questions. The investigation led him to the Ocean Church and Pastor Thompson and his partners, some who also happened to be his parishioners. Monday, Nichols and other officials closed the book on this investigation by unveiling a $1.5 million plan to restore some the marshes where the leopard sharks give birth. More than $400,000 will come from Thompson and his partners as part of their sentence, and $500,000 will be donated by the Unification Church of America, to which the Ocean Church belongs. The rest of the money will come from foundations and conservation groups. Lisa Nichols says the prosecution has helped drive other leopard shark poachers out of the business. "Once we started openly prosecuting people in this case — after the investigation was at a certain level — word spread fairly quickly in the industry," Nichols said. "Working undercover I tried to make attempts to buy in the last year and it's pretty much shut down." Towards the end, according to investigators, some of these poachers asked their preacher whether they were doing the right thing. He responded, allegedly, that the poaching was God's will. After Monday's press conference, Mike Murray said there are many reasons why the trade in baby leopard sharks should never be allowed to recover. One: that baby sharks don't stay that way for long. "They become very large: six, seven, eight feet in length," said Murray, a Monterey Bay Aquarium staff veterinarian. "That's a big fish." Too big, he says, for the fish tank in your living room. A new proposal for growing biofuels to help stem global warming and protect wildlife. The National Wildlife Federation last week unveiled an innovative proposal to help farmers switch to growing a new generation of biofuel crops. The plan would enroll up to five million acres of land to promote the sustainable production of next generation biomass energy. The Biofuels Innovation Program would provide financial and technical assistance to landowners to produce native perennial energy crops and crop mixes in a manner that protects the nation’s soil, air, water and wildlife. The growing of these dedicated energy crops would help support the development or expansion of facilities that use the material for biofuels, electricity, heat, or bio-based products. The program could be enacted under the energy title of the Farm Bill of 2007. The Biofuels Innovation Program would support a wide variety of feedstocks and technologies. In the true spirit of innovation, while the program would support production of switchgrass for ethanol, it would also support jojoba for biodiesel, mixed prairie grasses for gasification to generate electricity, trees or grasses for “co-generation” of electricity, and other alternative energies. 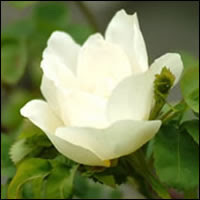 The plants used must be perennials native to the United States, and not have the potential to become invasive. In order for a facility that uses biomass to be economically viable, the biomass it utilizes must be grown within a relatively concentrated area to ensure manageable transportation costs. Most experts describe this area as being within a 50 to 70 mile radius of the facility. The Biofuels Innovation Program is designed to address this issue by requiring groups of landowners to come together to apply for funding as a project, rather than as individual landowners. The National Wildlife Federation is America’s conservation organization protecting wildlife for our children’s future. http://www.nwf.org. Hundreds of baffled and indignant citizens have been working to stop Duke Energy's planned Cliffside coal plants in North Carolina, which will generate 11 million tons of carbon dioxide every year. Duke has admitted that 600 of the 800 megawatts they would use from these plants could be met instead with energy-efficiency programs. They have also admitted that they prefer building more plants and selling energy rather than saving energy, because they don't make money saving energy. The Carolinas Clean Air Coalition has arranged a meeting and a great speaker on global warming for this coming Sunday, Feb 11, at MP Baptist Church. Stephen Smith is from the Southern Alliance for Clean Energy, and was trained by Al Gore to present this slide show based on An Inconvenient Truth. Stephen was on our local NPR station WFAE on the "Charlotte Talks" show on Monday Feb 6; you might have heard him. Here is a printable flyer for the upcoming meeting with Stephen Smith. In addition to the meeting, we are asking everyone to email the NC Utilities Commission at vance@ncuc.net and write the Charlotte Observer at opinion@charlotteobserver.com, expressing your opposition to Duke's Cliffside expansion. Ask 5 others to do the same. 1. Cliffside would be a global-warming machine, emitting over 11 million tons of carbon dioxide into the air annually, the equivalent of adding 1, 700,000 cars to our roads. 2. Cliffside and 150+ other coal plants across the U.S. are being rushed into construction in hopes of getting exempted from looming federal CO2 regulation. This is a risky strategy, but Duke is not deterred because it assumes it could pass emissions costs on to ratepayers. 3. Many studies, including two recently ordered by the NC Utilities Commission, have shown that a blend of energy efficiency and renewable, clean energy could meet a significant portion of our energy needs. 4. Even after the price of Cliffside skyrocketed from $2 billion to almost $4 billion, Duke still did not consider conservation, energy efficiency, or renewable energy as less expensive options for ratepayers. That's because building new plants is the most lucrative option for them. "We have this nailed," said climate scientist Jerry Mahlman. A new report on global warming compiled by hundreds of the world's leading climate scientists concludes that humans are causing the climate change that is melting ice caps and raising sea levels. The probability that human emissions are responsible was calculated to exceed 90%. The report was issued today, Feb 2, from the Intergovernmental Panel on Climate Change. It can be seen by clicking here. The Panel's previous report, in 2001, concluded that humans were "likely" the cause of planetary warming, with a 66% probability. But accumulating evidence has just about slammed the lid shut on that question. Concluded the report: "Warming of the climate system is unequivocal, as is now evident from observations of increases in global average air and ocean temperatures, widespread melting of snow and ice, and rising global mean sea level....The atmospheric concentration of CO2 has increased from a pre-industrial value of about 280 ppm to 379 ppm in 2005, far exceeding the natural range over the last 650,000 years (180 to 300 ppm)." The widespread warming of the globe and the loss of ice mass are more than 90% likely to be caused by human emissions, report the scientists. How will we see these changes in weather events? Heavy precipitation events. Higher proportion of total rainfall from heavy falls, meaning higher runoff and more erosion, fewer penetrating rains. 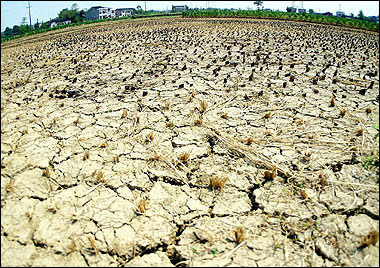 Increase in areas affected by drought. Increase in intense tropical cyclones. Increased incidence of extreme high sea levels. These changes will affect wildlife habitats dramatically, driving many species to extinction. Agricultural areas worldwide will also be impacted heavily, as is already the case in sub-Saharan Africa and other areas suffering from a shortened rainy season, too many heavy rains with erosion, and shrinking lakes. The United States is the biggest contributor worldwide to greenhouse gases, which are responsible for trapping solar radiation and warming the planet. Carbon dioxide is the primary greenhouse gas and is, as we know, emitted when fossil fuels are burned. Americans contribute disproportionately more of this gas because our business-friendly federal government and most state governments place no limitations on CO2 emissions from industry. And because we drive big cars that burn a lot of fuel, with slack emission standards imposed by our oil-friendly federal government. The U.S. government continues to pretend that the connection between human activity and climate change is a theory rather than a fact. And the feds offer few incentives to Americans to reduce our fuel consumption at home or in vehicles. Two non-profit advocacy groups (the Union of Concerned Scientists and the Government Accountability Project) reported last Tuesday Jan 30 that dozens of federal scientists say they have been pressured to tone down their scientific findings related to climate change, to omit phrases like "global warming" and "climate change" from their reports, and have actually had their findings changed by government officials. Rep. Henry Waxman D-Calif said "it appears there may have been an orchestrated campaign to mislead the public about climate change." Waxman said that House members have seen documents that "provide evidence that White House and agency officials repeatedly pushed to undermine the EPA's scientific conclusion about global warming."